Here's a book that will get the whole family laughing. When a large family of ferrets and their precocious baby take a chaotic trip to the supermarket, mom can't keep track of the groceries, the shopping cart...or even the kids! Baby Edwin tries to help, but everyone thinks he's just babbling. Little do they know that he really has all the answers. Full of fun-to-say nonsense words this is a perfect storytime book and a great read-aloud. 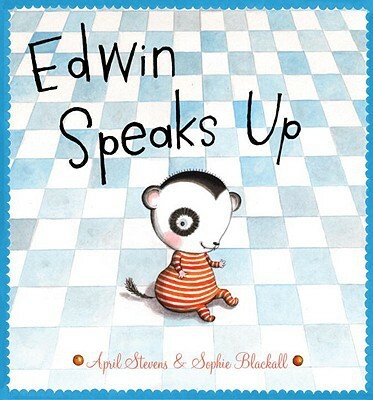 April Stevens, author of Waking Up Wendell, is accompanied by Ezra Jack Keats Award winner Sophie Blackall for a match-up that is sure to delight.